Ever since my solo exhibition, I've been feeling a little low and if I'm honest - a bit lost. I knew I needed some time out to reconnect with myself and yesterday I was lucky enough to have that opportunity. The whole day off... no working, no parenting, just me and some lovely liked minded ladies. At 9am I arrived at Zen Collective for the SoulMama Spring Retreat run by Rebecca from MamaHub and Prue from Zen Collective . 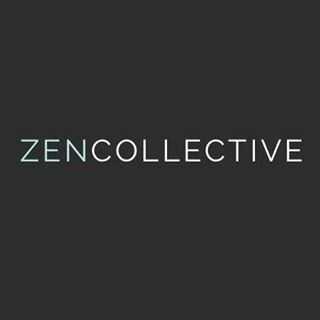 First off - I have to say how special a place Zen Collective is - hidden away in Brookvale it's a little oasis in the mayhem of Sydney. I felt at peace as soon as I arrived and Rebecca made us all feel at home with a beautiful cup of green tea. 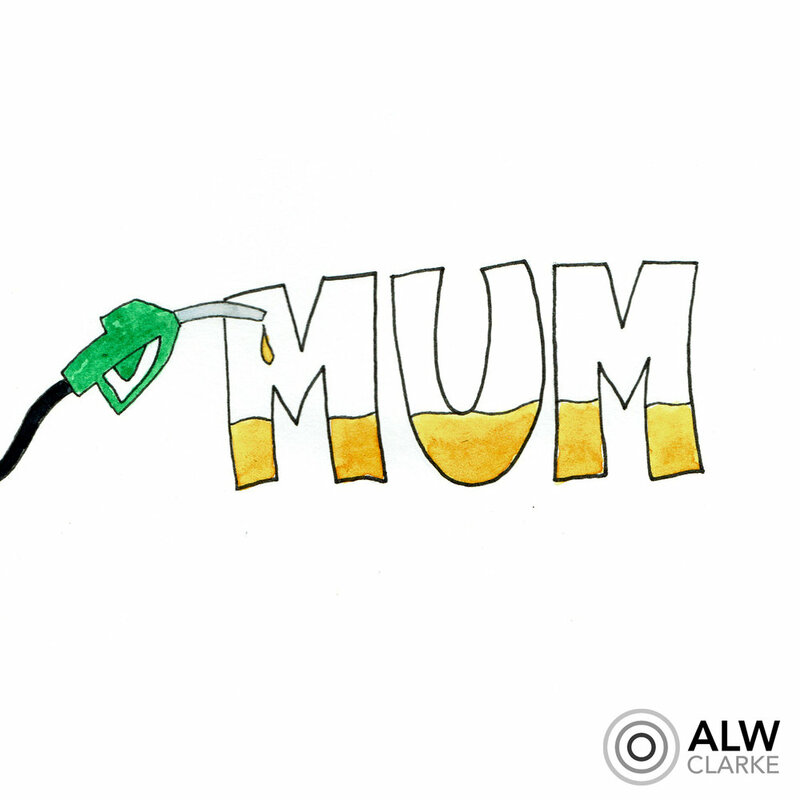 The day was based around refuelling our whole selves - physical, mental, emotional and spiritual. We started off with some gentle Yin Yoga, where Prue eased us into stretching our bodies. The gentle poses were a great way to start the day and I could really feel my body opening up after being so tight from carrying my 17kg toddler around. Yoga is something I've only recently started trying out and every time I do it - I feel more confident and assured that it's something I'd like to keep up. Prue is a real master and you could feel her confident, professional and calm vibe... I knew I was in safe hands. 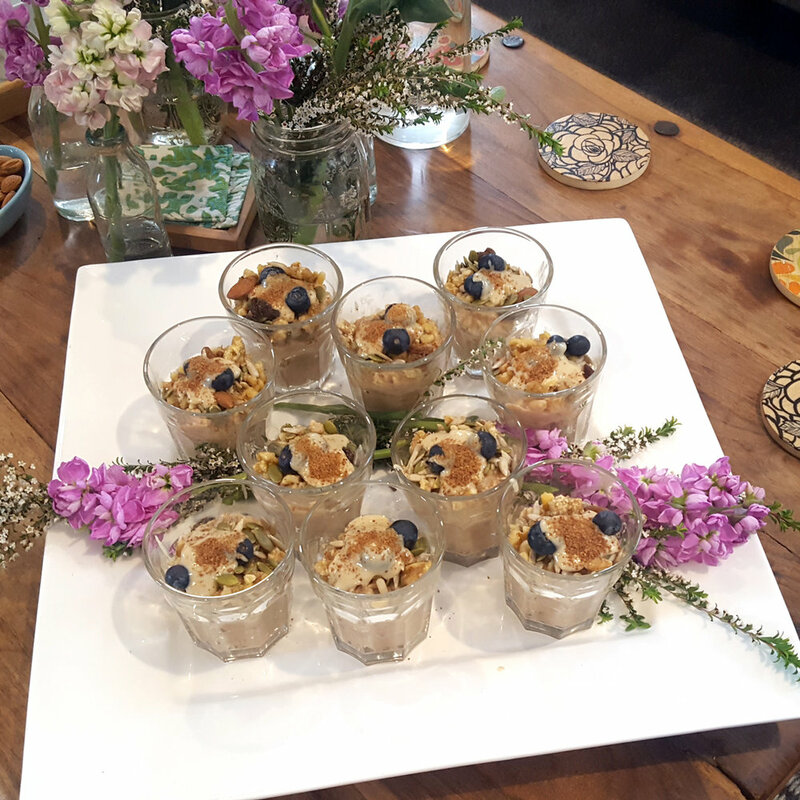 After a mouthwatering morning tea of raw treats from Love Raw Treats in Mona Vale, we moved onto focusing on our minds. Being a mum can be so full-on, taking time out for yourself can be almost impossible. Rebecca shared some great tips to help bring mindfulness into our daily routines. She talked about trying to integrate checking in with yourself every time you do something in your daily routine. For example - every time you look at your watch, start making that a mental reminder to check in with how you're feeling and where your mind's at. If you do this often enough it can become a positive habit and you'll be more mindful with minimal effort. Then Rebecca took us through a body scan meditation and afterwards we all felt so relaxed that we didn't want to move from our mats. However... the smell of Prue's homemade cooking tempted us up and we had the most delicious and nourishing lunch. Accompanied by some lovely honest conversation with fellow mums who all felt at ease within the company. After lunch it was time to get creative - Prue ran a sun catcher workshop and we were all lucky enough to make our own unique sun catchers. Here's mine in the making - I can't wait for the sun to come up and fill my room with rainbows. This was the first time, in a long time that I've been creative in a way that wasn't drawing or painting. I felt really inspired by the look and feel of the crystals - such fascinating colours and shapes. I found myself just staring at them for ages, totally in the zone! If you look closely, you might be able to see the little rainbows dancing on my artwork this morning. I've hung my sun catcher at the window which overlooks my desk. We ended the day with a group reiki healing and soul guide meditation. Being my first experience of reiki and chakras, I wasn't sure what to expect. Rebecca started by giving us all some Melissa essential oil, which I found really got my senses going and had a calming effect. We all laid on our mats and relaxed as she guided us through each of the chakras and we visualised them opening. As we went through this visualisation, Rebecca and Prue moved around the room and used their reiki energy on us (not sure if I'm using the right lingo here). It was one of the most intense experiences I have ever had. I knew that Prue was going around the room and could sense her at the top of my body even though she did not touch me. When she was there I could feel the most incredible energy moving up through my body. It almost felt as though my body was on fire and it was all radiating to the top of my skull. The funny thing is that, even as I'm writing this, I can feel the crown of my head tingling. As I said, I don't have any experience with reiki but this has got me intrigued and I can see myself doing some more research. It's hard to ignore something that has such a physical manifestation! Everyone loves a goodie bag don't they?!? I can't remember the last time I received one as good as this... I felt like a little child when I got to delve into the bag and see all the lovely treats we were given. It was a struggle to leave - I totally could have stayed there for a week - but I left feeling very Zen and when I got home dinner was on the table!! What more could a woman ask for?? My husband survived his dad duties (including washing the car) and it was a joy to see my son! I felt as if I'd been away for an age - I'm sure my son had grown in just 8 hours - funny how you miss them isn't it!? Prue and Rebecca are planning to hold these retreats every 3 months - one for each season. Keep an eye on their Instagram for more details... I hope I can make it to the Summer Retreat Day - the perfect refuelling and self care for a busy mum.